The recording of 'Staffa' with the RSNO in Glasgow went well. Currently working with Gerry Fox to finish the installation. Also finishing a commission for the Southern Cathedrals Festival. This is an unaccompanied choral setting of Shakespeare's Sonnet VIII, 'Music to Hear'. It will be performed in Chichester Cathedral 21-23 July by the massed cathedral choirs of Chichester, Winchester and Salisbury. The next project is a commission for an eight minute work for the Brodsky Quartet, which is being performed at the Petworth Festival on 25th and 29th July. Also inspired by Shakespeare, its title is 'Heaven shall call her from this heart of darkness' (Henry VIII Act V Scene V, referring to the future Queen Elizabeth). Currently working on a commission from the Royal Scottish National Orchestra to compose 'Staffa'. This is a multi-media collaboration with BAFTA-award winning director Gerry Fox. Inspired by Mendelssohn's journey to the Hebrides, it features unique drone-based footage of the island and Fingal's Cave. The orchestral recording sessions are in Glasgow in February under the baton of Associate Conductor Jean-Claude Picard. They will take place in the RSNO's new state-of-the-art concert hall and recording space, engineered by Linn Records chief producer/engineer Phil Hobbs. On Saturday 4th and Sunday 5th October 6.35pm performances of 'To The Valley': CREATIVES ACROSS SUSSEX presents an exciting performance by West Sussex community choirs taking song and voices into the environment. The Audience will be free to wander through Bignor Park Gardens – experiencing creative surprises along the way! Last performed at Bignor Park in 2012 as WHISPERING WOODS to sell out audiences and rave reviews, the event gives audiences a unique experience of the South Downs landscape against a soundtrack of live a cappella song. There will be plenty to see as well as hear with stunning light installations and a fire garden. 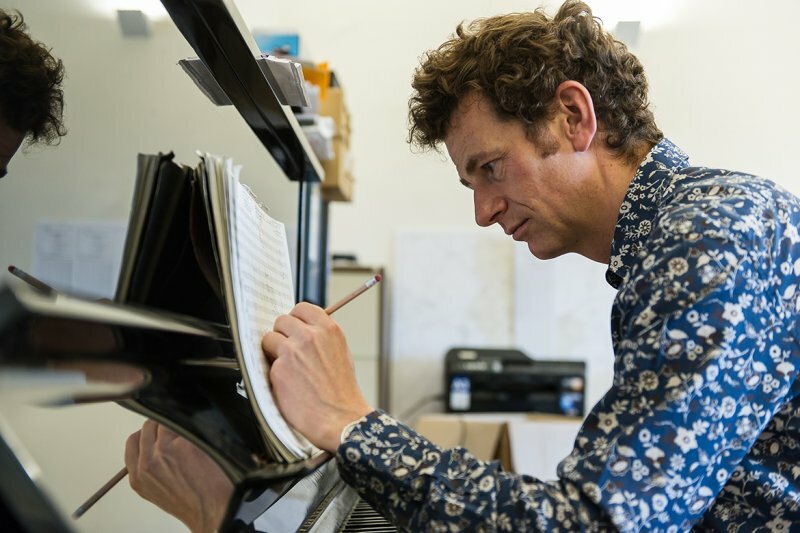 The performance will begin just as the sun sets and the musical programme will include world premieres of specially commissioned pieces on the Town To Earth theme Roots and Routes, by composers Ned Bigham, Daemonia Nymphe, Juliet Russell, Rebecca Askew and Emily Barden. Tickets: £10.00, concs. £6.00, from here-just enter 'Town To Earth' in the search box. You can also Google 'We Got Tickets Town To Earth' and the link appears on the first page. Finally worked out how to create a link to the recent interview.